Command Metal Hooks are available in a variety of styles and finishes to match your dicor. They also come in a variety of sizes and hold a surprising amount of weight up to five pounds! 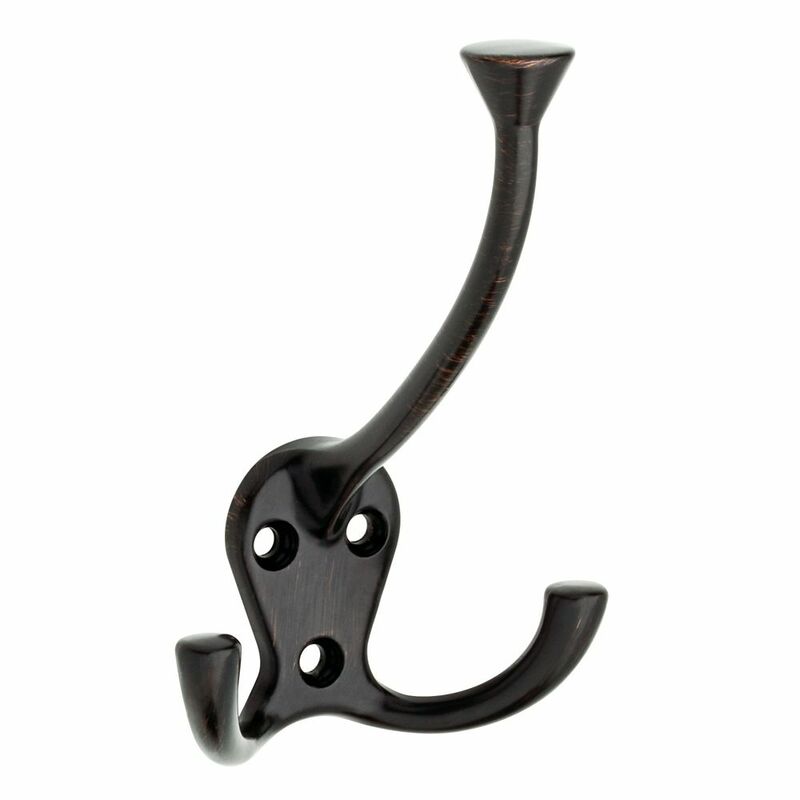 Flared Tri-Hook Venetian Bronze Organization with style has never been so easy. This metal hook is designed to hold a wide variety of items coats, hats, handbags, umbrellas, towels or robes. This classic design is perfectly suited for any room from the entryway to the bathroom. Flared Tri-Hook Venetian Bronze is rated 3.7 out of 5 by 3. Rated 5 out of 5 by Cyn104 from Not Bronze This is a great hook for hanging jackets. The top hook extends out from the wall 2” plenty of space for clothes. The only thing is I wouldn’t call the colour “bronze” it is more black. Good and sturdy, good value. Rated 5 out of 5 by OrganizeIt from Great hooks I bought these to replace wooden pegs in a long wooden coat rack. I ordered 15 I think. They are just great. They are very sturdy. Rated 1 out of 5 by Dufreyne from Terrible!--The Color is NOT AS ADVERTISED I initially purchased this product and it arrived as a VERY DARK/ALMOST BLACK COLOR. It was advertised as a "Venetian Bronze". The color in the picture on the Home Depot Website looks like Venetian Bronze, but it really isn't. I returned these to the local Home Depot and purchased it again (thinking that the first time was perhaps a mistake). The second purchase was just like the first. It is very dark/almost black. I finally had to replace all my hooks with this one in order to be consistent throughout. I uploaded a real picture of what it looks like. Check out the real picture.